To preserve your elbow joints, keep your elbows slightly flexed. The reason for internally rotating your shoulders is to better isolate your sternal pectoralis major by bringing the muscle’s origin and insertion into better alignment. The steeper the angle of the bench, the less your anterior deltoid will contribute as a synergist. 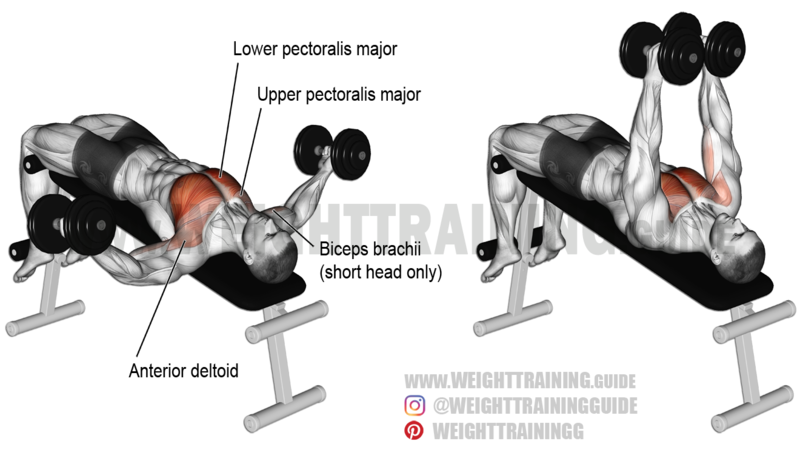 Use the decline dumbbell fly to warm up, pre-exhaust, or burn out your sternal pectoralis major. It is not a major mass-building exercise.